Baseball is Proof of Spring! Ahh...A warm night at the ballpark is not as far away as you might think. Sure its snowing as I write this, but believe it or not, spring is coming. It&apos;s that time of year in Michigan where you hear birds chirping and the sun is shining, but its snowing, windy and 30 degrees. Can you call that spring? Sort of? Anyway, lets not get caught up in labels; lets talk instead about the eventuals that occur with the passing of time - like real spring and the fun it brings. Warm days, budding trees, lots of melting snow and fresh air coming in through windows no longer battened down protecting us from the winter wind. Yes, as we&apos;re thinking spring it doesn&apos;t take long to think of our favorite things about the much-welcome season - like Baseball! 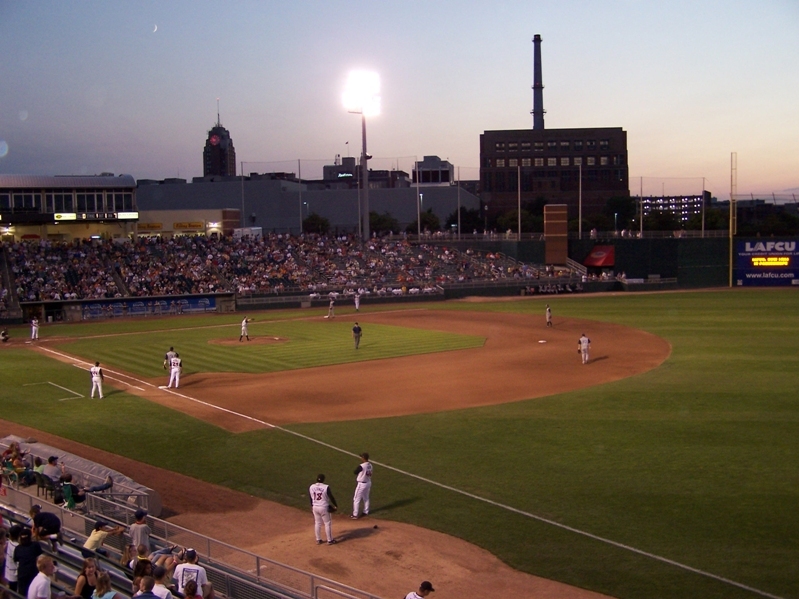 Here in Greater Lansing we&apos;re so lucky to have an awesome baseball presence like the Minor League Lansing Lugnuts. Set right downtown Cooley Law School Stadium is the site of so many warm weather good times that the opening of the season is just about my favorite sign of spring. Sorry chirping birds, you&apos;re cute, but baseball is baseball. Whether you&apos;re a fan of the great game or just like to be out in the sun with friends, there are a bunch of fun things planned and they&apos;re right around the corner. First up is the Annual Crosstown Showdown where the Lansing Lugnuts take on the Michigan State Spartan baseball team. Its a ton of fun and is a well-loved hometown favorite match-up. Check this out April 3rd at 7 pm. Then a few days later is the Lansing Lugnuts regular season home-opener, April 8th. This is always a fun one, full of fun promotions and enthusiastic baseball fans hungry for hot dogs, pretzels and the sport they love so dearly. Something new to check out this year is Beerfest at the Ballpark. If you&apos;re Friends with the Lansing Lugnuts on Facebook, you&apos;ve known about this for a while now. Its at the ballpark April 5th from 1-6 pm and its going to offer a host of incredible micro-brews from breweries around the area. Love baseball? Beer? This event is for you? Maybe you&apos;re nuts and have never been to a Lugnuts game?! Well what are you waiting for? Get down to these fun events! In the meantime, get in the right place mentally by closing your eyes and repeating over and over, "spring is coming, spring is coming, spring is coming..."